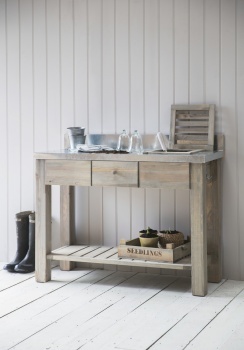 Our Aldsworth Potting Up Unit will complete your garden offering. This hardwearing spruce unit looks super stylish and is incredibly practical with a compost section, storage shelf and large zinc topped working area. No serious gardener would be without one. Stock up now and expand your range.